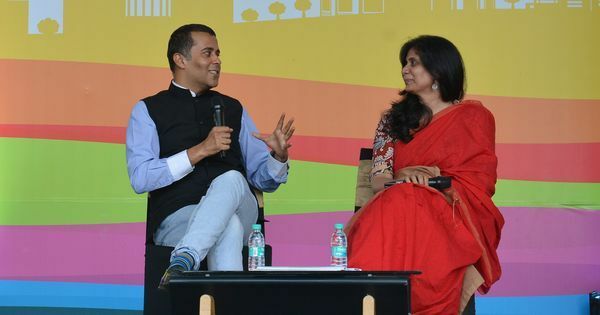 An interview with the author and editor who is also the co-director of the Jaipur Literature Festival. Writer, publisher and director of the Jaipur Literature Festival (JLF), Namita Gokhale is busiest in January, when JLF takes place. This time though, she also has two books out back-to-back, both projects very close to her heart. For the last two days I have been reading Finding Radha, the book that you and Malashri Lal have edited. And I must tell you it transported me back to my teenage years, when I was in high school, and we read Vidyapati and Chandidas in class, sang Bhanusingher Padavali, and got quite obsessed with the idea of Radha. And now I feel, as a writer, that what draws people – women, of course, but also men – so much to Radha is also that there is very little known about her. So, that’s my first question. Why Radha? But the opposite happened. When the book was published, it was reviewed with great enthusiasm by both the Left and the Right. They had their own equations with Sita. After Sita, people said why don’t you do a book on Draupadi. But I wasn’t interested in Draupadi so much, because, to my mind, Draupadi is much less interesting than Sita, she has very little agency. She is a strong, beautiful, powerful woman – but ultimately, things are done to her, and except the vow of revenge there really isn’t much she does. I wasn’t interested in her. I had been to Vrindavan several times. But I’d never thought I would actually sit down and do this book, about Radha...Then, I was struck by how ideas about what women should do in India were getting more and more regressive every day, in the name of the Hindu religion, and it seemed to me that it was time to explore the mystery of this subversive goddess. How is it that this subversive goddess came to be worshipped before Krishna? It’s always Radha-Krishna, it’s never Rukmini-Krishna. What is the mystery of her power? So one day, something clicked, it just came to me. I rung Malashri up and said we are going to begin the Radha book. And that was it. Like little squirrels we started putting away notes and information as we could, for what became this book. Mala and I are perfect partners. We know exactly who’s good at what. The division of labour comes very very smoothly. We don’t even have to meet to talk! Once we decided we were going to do this book, Mala did a lot of the research and I commissioned a lot of the original essays. And the translations? Because I saw the collection is extremely diverse. We sourced them from different places. I am very very grateful to a young lady called Anisha Lalwani. She’d worked with me for a while and is in Bombay now. Anisha helped to source a lot of the translations, track down permissions, and so on. This was a lot more difficult than the Sita book, for example. For a lot of the textual material, we didn’t know who had the rights and so on. I thought Finding Radha was also a great crossover book. I mean academics would also find a rich wealth of information in it, but one could also read it for sheer pleasure too. I’ve always felt that world over, academia uses such difficult language. And non-academia, on the other hand, might have a slightly casual attitude towards the material. So, me being the non-academic, college dropout, and Mala being the academic – I guess, between the two of us – we struck the perfect balance. You know, my obsession with Radha must have started when I was about sixteen or so. And the waiting and the longing in Radha’s story, the concept of abhisar, they all felt deeply romantic. Throughout the Radha-Krishna story there is heartbreak. Love, belief, and a daily heartbreak. And of all the Indian love stories, the story of Radha and Krishna resonates everywhere. The landscape too, the sense of an Indian night. Dark. Not cold, but a warm night. The warm Indian night. We encounter this every day. One could be walking through a busy, crowded street and get a sudden whiff of raat ki rani – and one thinks of Radha. That’s where the mind goes. That’s why I said that she’s like a whiff of fragrance through the narratives of Indian goddesses. A lot of people have argued that the idea of Radha did not exist, that she was a construct. But if a construct takes on the power and meaning that is invested in Radha, then it simply means that the construct is real, it’s responding to a real need. I am working on a new novel. And every day I have this mission that I must find some secret time, two hours or three hours, somewhere in the course of the day, when I can sit and stare at that page and complete that piece of writing. In fact, there is this guilty pleasure sort of thing about my writing, you know. Like, for children at boarding school, you know, having to write under the covers, with a torch. There’s so much work all the time that to find the time I can consider my own is a task. It’s like an affair, isn’t it? Absolutely. It’s like Radha making it to her midnight trysts. There’s your humdrum life. And there’s your secret inner life. What is the new novel about? Oh, I am not going to talk about that. (Laughs) I have learnt a long time ago to never talk about a work in progress. But I am really excited about the new book that is coming out. And that again is a collaborative book. It’s called The Begum, and it is the story of Ra’ana Liaqat Ali. So who was Ra’ana Liaqat Ali? Let me tell you. It’s a fabulously interesting story. So, I have a family tree. For my father’s side of the family, the Pants. I don’t know who made this tree and why. We weren’t such a big or an important family. But it goes back fourteen generations. And one of the lines, basically one of the branches in that family tree, suddenly stopped somewhere. I was told that this was the branch of the family that had become Christian. There was always a bit of mystique about that. There’s this element in your novel Things To Leave Behind too, isn’t there? Precisely. That was where I picked it up for the novel. I was always intrigued by this one person from that branch of our family, Sheila Irene Pant, who taught economics in IP College, who was a gold medallist from Lucknow University and who, at quite a young age, fell in love with Nawabzada Liaqat Ali, whom she married. He went on to become the Finance Minister in the interim government, and later, the first Prime Minister of Pakistan. Nawabzada Liaqat Ali Khan was assassinated just a few years after the creation of Pakistan. And that is the point where the Begum’s story fascinates me further. I have always been obsessed with the grit of pahadi women, whether rich or poor, from far and wide. I have no idea where it comes from, but I’ve seen it, they’re like the tough, the tougher and the toughest. As was the Begum. I can just imagine her, alone in Pakistan, without any male relative or family. But she made a life for herself there – she was loved and respected. She was sent as an ambassador to several countries, became governor of Sind, and, in fact, set up the All Pakistan Women’s Association, which, till today, is one of the most powerful institutions in Pakistan for women and civil society. I grew quite obsessed with her story. She bore a faint resemblance, in photographs, to my sister, and that added to the quest. I knew I had to write this book. I also realised quite quickly that I couldn’t write this book! I just didn’t have the time or the resources to do the research. I knew, though, that I had to help this book get written. Now my dear friend, Deepa Agarwal, is from the same Kumaoni Christian community as Begum Liaqat was. She’s a very good researcher and writer and agreed to come on board. Deepa Agarwal has written several acclaimed children’s books, hasn’t she? Yes, precisely. She then wrote the part of the Begum’s life leading up to independence and Partition. Begum Liaqat Ali lived to be 88 years and six months. 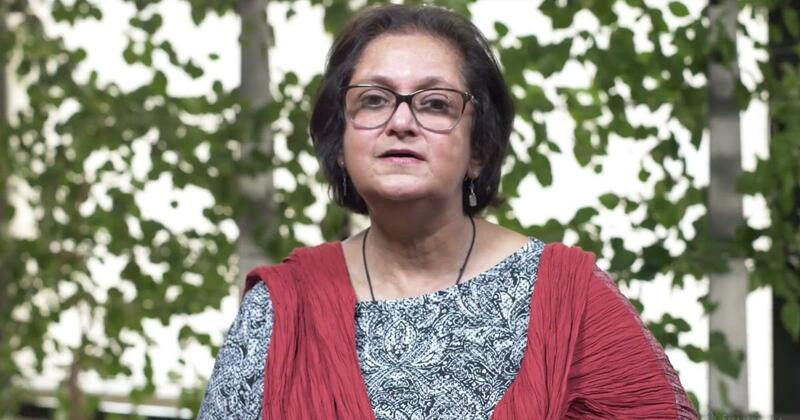 Of these, she spent 44 years and 3 months in India – written by Deepa Agarwal – and 44 years and 3 months in Pakistan – written by my friend, Tehemina Aziz Ayub, from Pakistan. I’ve written an Introduction. Laila Haroon Sarfaraz has very kindly written the Afterword. The Indian ambassador to Pakistan, TCA Raghavan. And he’s written an excellent book on Pakistan too. Exactly! He was the unofficial consultant to the book and gave us a lot of inputs. Ranjana understood all the sensitivities. We just can’t imagine having worked with anyone else. It must have been very difficult for both Deepa and Tehemina to research the Begum’s life. Oh yes. Elusive fragments had survived. So the story of her life had to be reconstructed from scraps. I think it has turned out to be a substantial book. So two very different books, two women from wildly different times. But there’s that similarity within. Both their stories had to be reconstructed from “scraps” as you said, from oral narratives, from fragments of their lives captured in other people’s biographies as it were. And both books are very close to my heart, they’re both about two courageous women. And since they’ve come out back-to-back, they give me the sense of having worked through the year. One last question – it’s about your writing rituals. Do you have a particular time when you write? Say, when it’s quiet? At night? I can write anywhere, anytime. I end up writing at night because I am not a morning person at all. (In fact, that’s the thing I dread about JLF. That for a week I will have to be a normal morning person!) But it has to be quiet in my head for me to write. For that, I have to put away all the emails, the silly requests, and all the pending work. Because of the nature of the Jaipur festival, I am open to pretty much anyone in the world writing to me. I am not a very private person, and I don’t live a very private life. In Rajasthan, in the countryside, there used to be these pillars for women to put their pitchers for a while. You know they’d have to walk miles with the water on their heads. And it would be difficult for them to bend to put their pitchers down. So the pillars were made to be of the same height as them. I’ve always thought of this as an analogy for my writing. Every day, I look for the pillars where I can put away the matka on my head, all those hundred humdrum things of life and work, and pause, and write.